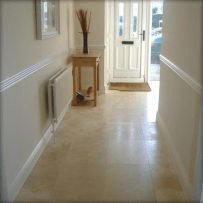 Tiling when its done well and with tiles that you’ve chosen well should be timeless and should look as good today as the day they were fitted. The pictures to the right are of work I have done in the recent weeks or months and there are many more pictures on the site of other jobs I have completed. About how and where I tile. A lot of my satisfaction comes with providing my customers with a professional, high quality, friendly and reliable tiling service. 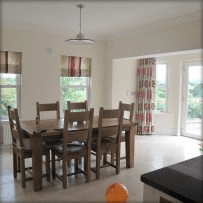 If you choose me, Mark at imatiler.ie you can rest assured you are getting a domestic or commercial tiler that places your satisfaction as a top priority. You will only be dealing with me from the beginning of the project to the end as I do not sub-contract any of my work out. I may bring in more tilers if necessary, but they would be tilers I have known for many years and would work to the same standards as I do. 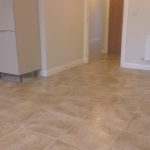 I also tile all the areas such as domestic bathrooms kitchens halls and conservatories and commercial canteens, stairs lobby’s and rest rooms. 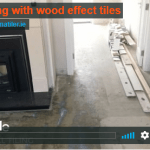 For my work areas I tile in Dublin around the M50, all areas of Kildare Laois and Offaly but I also work in Wicklow and Carlow so if you let me know where your home or project is I’ll let you know if I can get to you. I strive to provide the highest quality workmanship, outstanding customer service and reliability which I would like to think sets me apart from the competition. What’s more, all aspects of my work are guaranteed. I will also respect and protect your home during the project in hand. The only thing left for you to do is to admire the finished job! 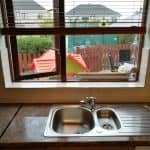 If I provide them, I always use the highest quality materials available which are sourced in Ireland, and I have a thorough knowledge of the tiling industry and keep-up-to-date with the ever-changing products available. 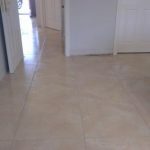 But if you have any tiles that I haven’t listed there please let me know and I’ll even give you quote to fit them too. I also have an up to date Safety Statement and a Safe Pass. It’s probably a good idea to make sure whoever you hire to tile your home has both because they are both legal requirements to have when working on construction sites in Ireland. 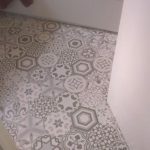 I can also advise you on the best way to fit your tiles, and by that, I mean the substrate they’re going to be fitted to, which ensures that they won’t crack or break or fall off after a few months. 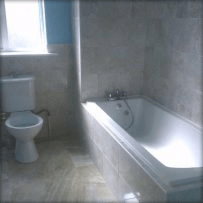 I can also make sure you’re supplied the correct tile adhesive and tile grout that is suitable for your job, normally the shops do a good job supplying the correct items but sometimes mistakes are made and it’s important that they are picked up on before the job starts and not when its finished. I tile professionally which to start with means I work safely in your home and those are not just my words, I have a UCD certificate in Health and Safety and a degree in Health & Safety Management and Environmental Management so I do actually know what I’m talking about which is probably has a lot to do with why I’ve had over 30 years accident free working in many different environments. I also teach City & Guilds tiling courses for companies in Ireland, there are very few tilers that are actually qualified in Ireland, most are time served which means that they have learned the trade from their previous employer and that’s fine that’s how most of us have learned but I think at some stage it’s good to find out how much we do know and what it is that we don’t, sometimes that journey can be an eye opener. I am also a Safety training instructor and started a company for this delivering classes in various locations in Ireland. I have made a website for this surprisingly enough called safetytraining.ie , the link will open in a new tab if you would like to take a look.